and have not been embellished. In the Winter, the stories change – they are as slithy as the surfaces that show them. 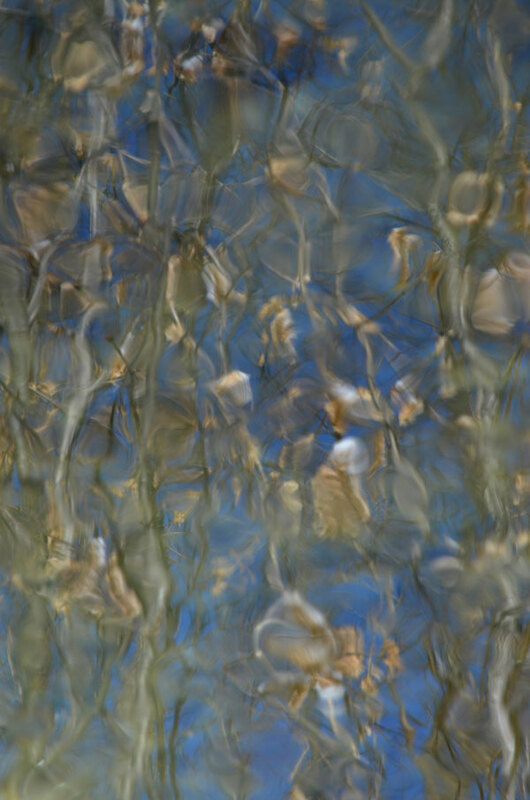 Photographs of surface reflections on moving water from the series Surface, Submerge. Beautiful textures, patterns, colours and light. Who could ask for more Karen? Gorgeous! Much appreciated, Adrian. Thank you. Karen, these are all quite sublime. 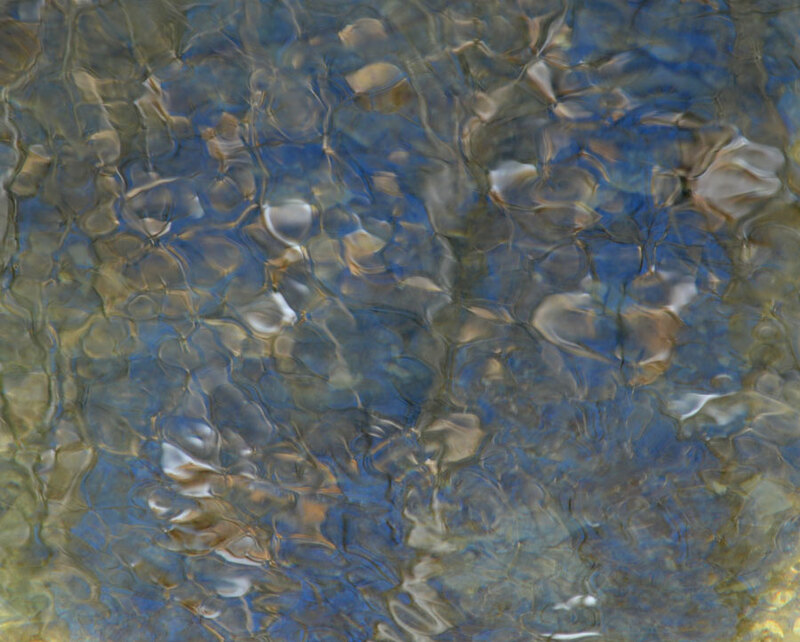 This moving water seems alive in and of itself; the forms are mesmerizing. Amazing how movement exists in a two-dimensional moment. 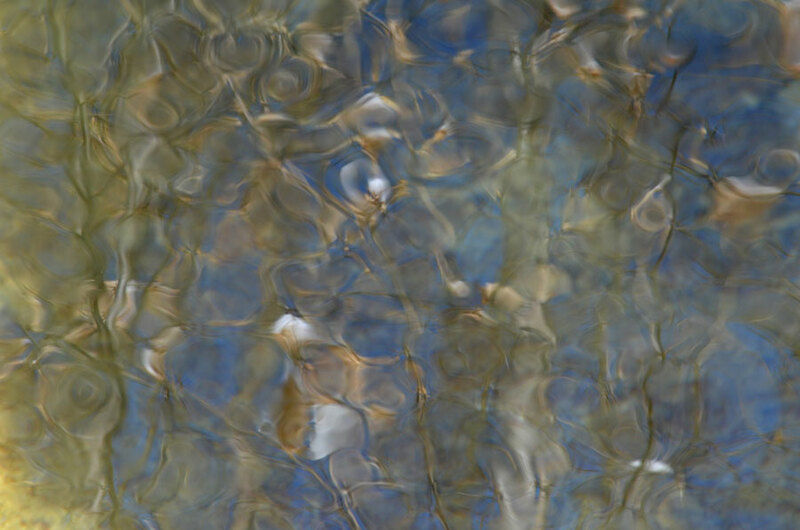 It’s rather mesmerizing watching the water through a lens, actually. It feels much like watching a Lava Lamp! Thanks for your comment, Judy. Beautiful patterns and textures and of course words!! What can i say? I am just so lucky to be following this blog. Kudos, Karen! Well, that’s a very kind thing to say, Alessandro. Much thanks for that! I’m glad you thinks so, Helen. Thank you! What can I say, absolutely stunning! Now I realized, what you try to show is the subject in the flow of time. Is that a skull in the third one, Karen? It looks like one, doesn’t it? I thought so, too. 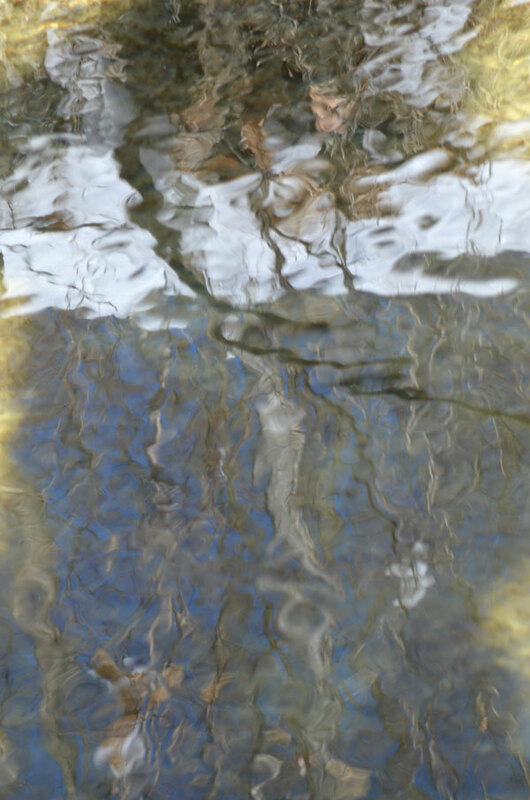 It’s actually snow reflecting in the water and it is being “shaped” by ripples and branch reflections. Kathleen, such kind words – thanks ever so much! That means a lot to me. These are stunners! I love the way you bend the boundary between reality and the abstract, just enough to let me know what’s going on and lots of room to dare to dream. Thank you for sharing these photos with us. Thanks very much. That’s nice to hear. 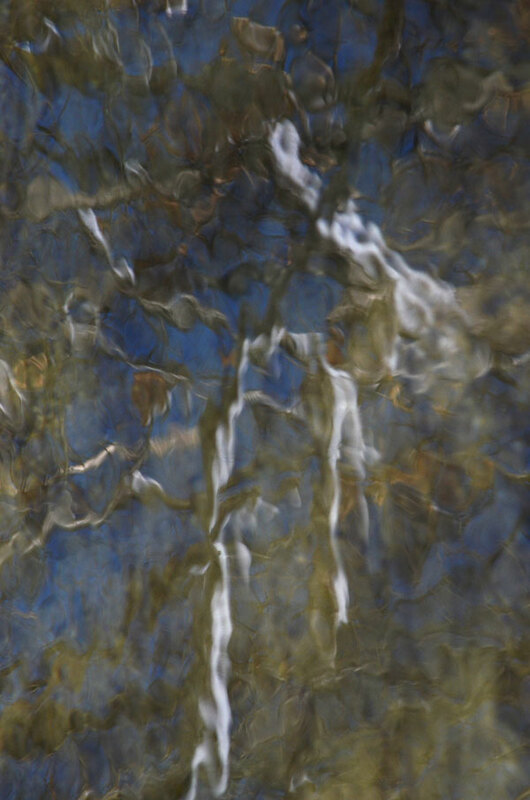 Diaphanous scarves, ether veils, who knew it was possible to photograph dream shadows? I guess you did! Sometimes you really don’t know what has happened until later! 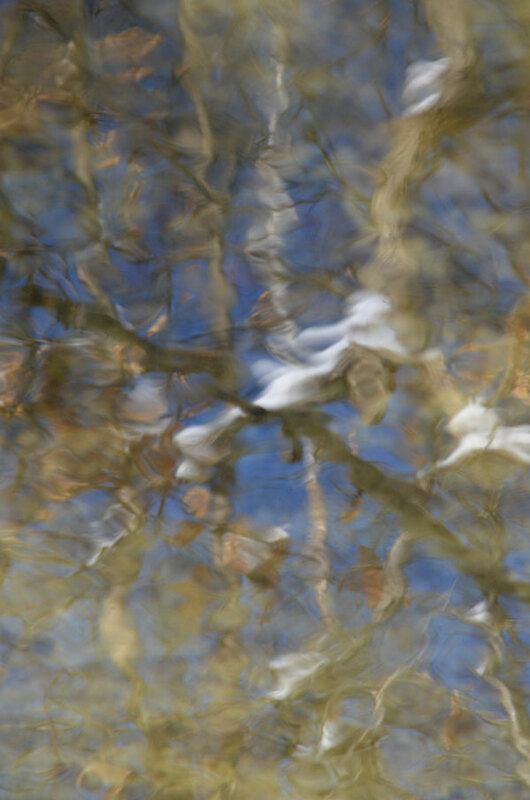 I thought the snow in the trees might make some interesting reflections but I didn’t want them to be to literal. I like the way these turned out. Hi Louis, thank you. I’m pleased with these. It fascinates me how the light changes this type of image so dramatically. Transporting – I like that. Thank you! Oh the flow! Moving, changing, thrilling the eye. Colorfully wonderful! Thanks, Elena. These turned out kind of interesting, I think. I’m happy you like them. Wonderful shots. 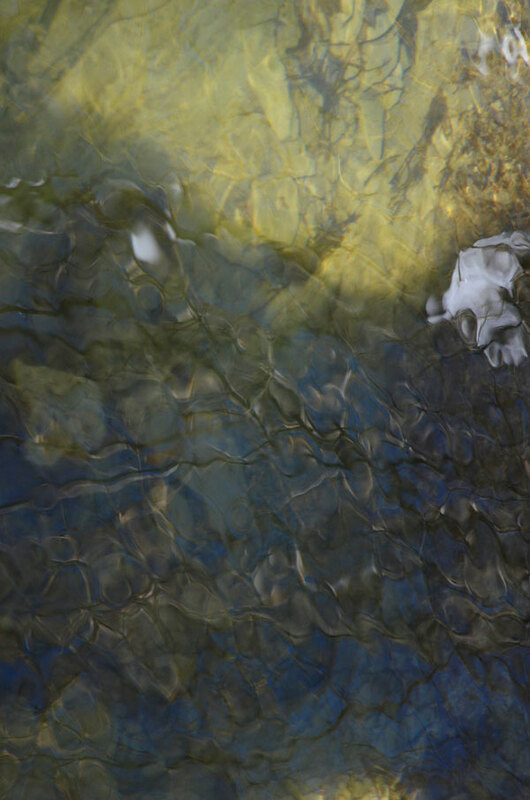 There’s a twist in them for me – I keep seeing what look like bones in the water. Yes, they have the same twist for me, Richard. Thank you! Thanks, Phil. They were fun to make. These just make me happy. Slithy indeed! That’s great to hear, Anne! Thanks very much. yes there’s something a bit creepy (in a good way, of course) in these… I love your title too – you are so good at titles! Perfect. Emily, thank you. They have a bit of strangeness going on for sure! Titles can be challenging – I’m happy to hear you think mine are good! Great title to draw me in! Loved the abstraction. thanks for posting these. Some of these almost look like Monet’s waterlily paintings. It’s that sort of feel, isn’t it? I like when photography crosses over into a painterly look sometimes. Embellish: Make (something) more attractive by the addition of decorative details or features: “blue silk embellished with golden embroidery”. Make (a statement or story) more interesting or entertaining by adding extra details, esp. ones that are not true. I always wonder about this, Karen. I say I like to tell the truth and yet. And I can’t help but embellish these stories you show me, make up stories about what I see. Fabulous stories here! Anna, I suppose I was indicating that I have not manipulated these images, but they are open to embellishment by the viewer. “blue silk embellished with golden embroidery” – strangely, that seems to apply to this set. Karen, These photographs are exquisite. They also reminded me of the color palette that the artist Dorothea Tanning used in some her paintings. Actually I think you were channeling the artist herself in photographs 1 and 3. As always artistry at its finest! Nareen, thank you for your great comment. I looked up Dorthea Tanning – I can’t believe I’m not familiar with her work! It’s really wonderful – and I kind of see the correlation in these photographs. I’m happy to know of her work.